Stage of low difficulty (green color). It is a stage of transition between the region of Filabres-Alhamilla and the Comarca del Almanzora. The stage has its beginning in Tahal in the foothills of the Sierra de los Filabres. 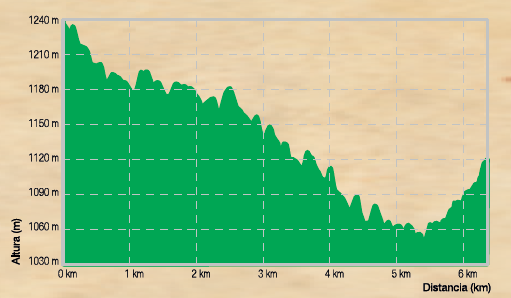 It will be entered in the Almanzora region by the Collado de Estella with 1,244 m of altitude and of autochthonous Mediterranean vegetation with in the municipality of Laroya. 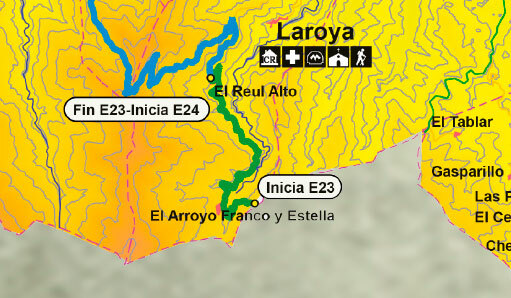 Arroyo Franco and Estella to the side of the route owe their name to the Navarrese origin of their repobladores the zone. The Reo Alto Barriada de Laroya is the end of this stage.